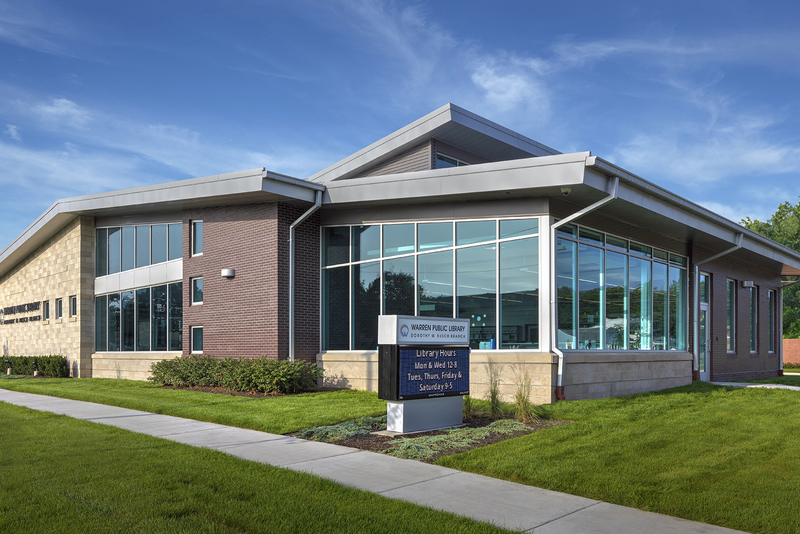 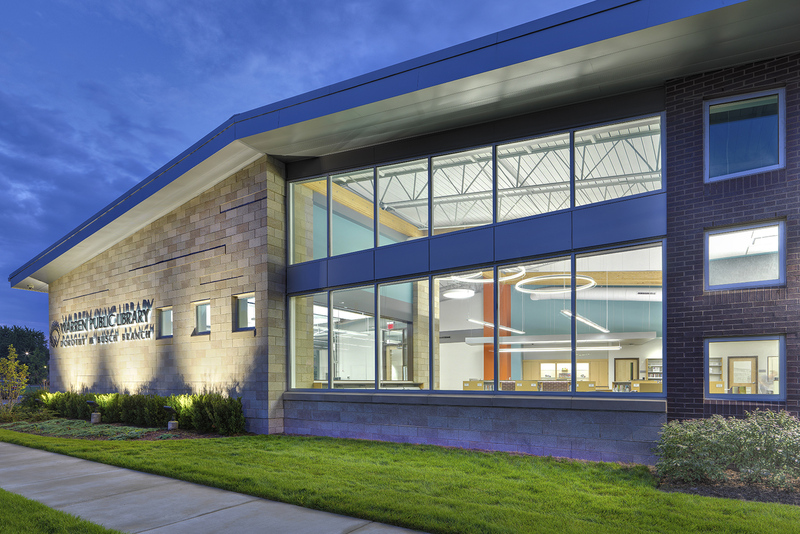 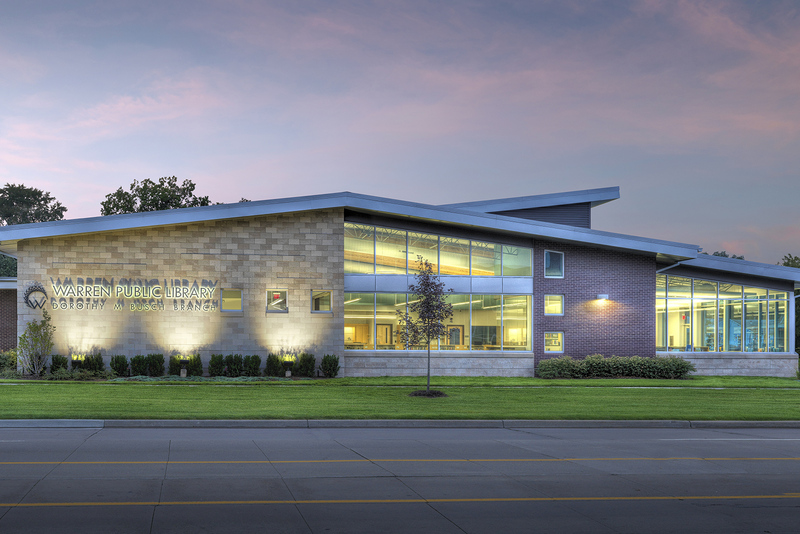 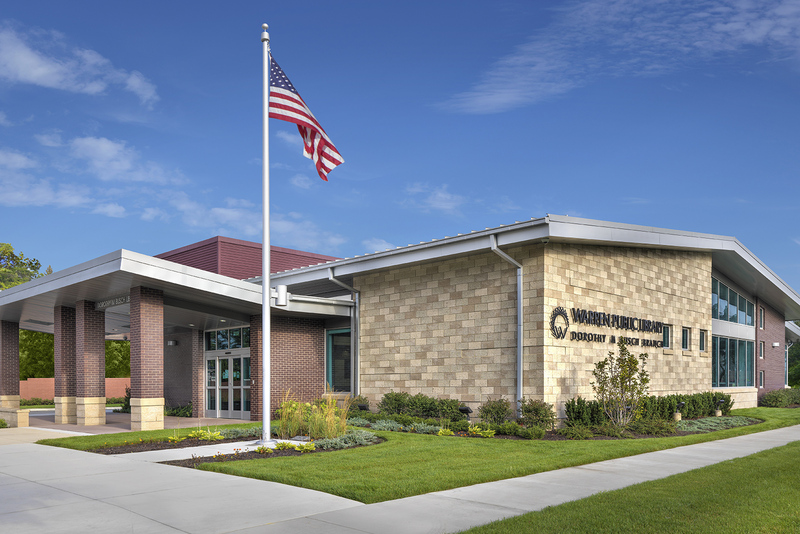 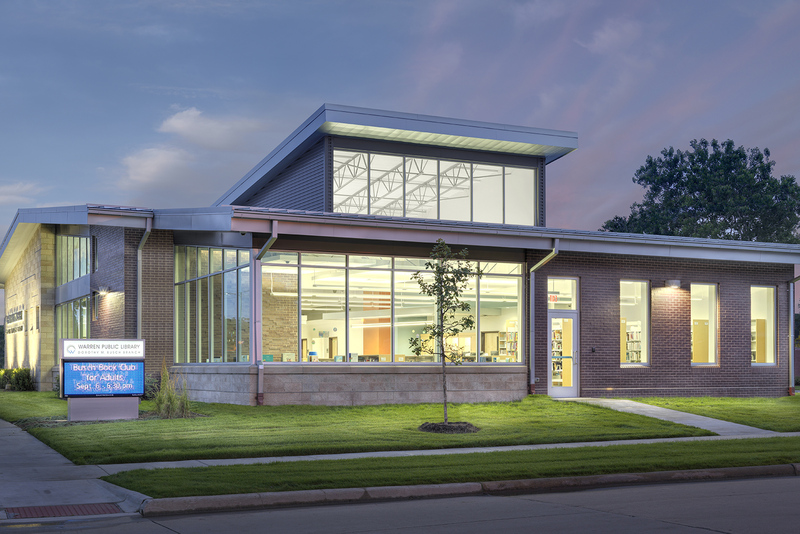 The replacement of the Dorothy M. Busch Branch Library began as part of a library millage passed by the community in 2010. 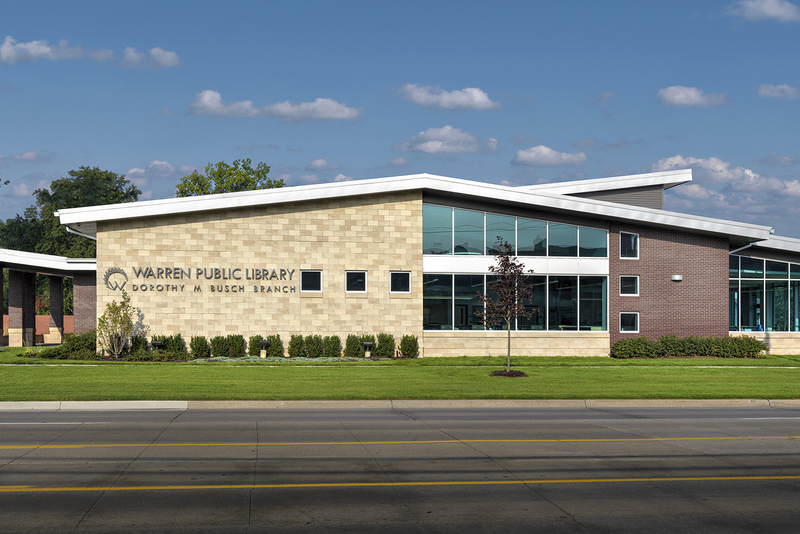 The existing library constructed in 1963 could no longer serve the needs of the community and the building systems were failing. 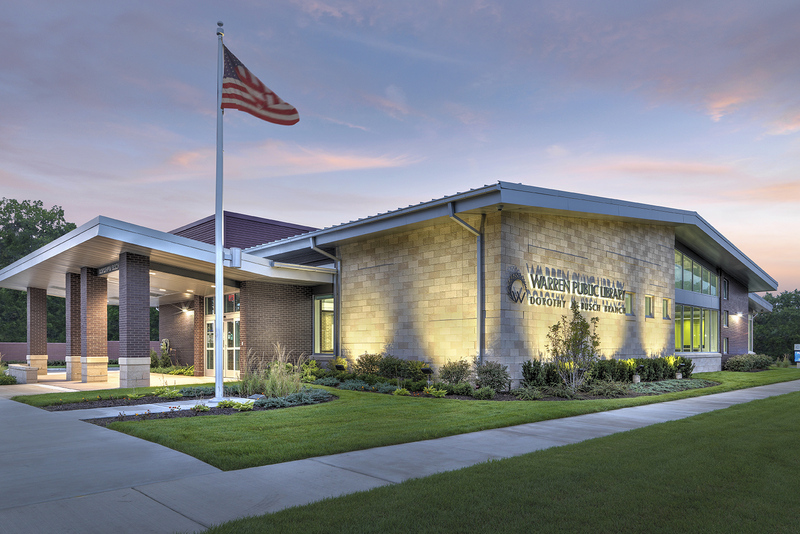 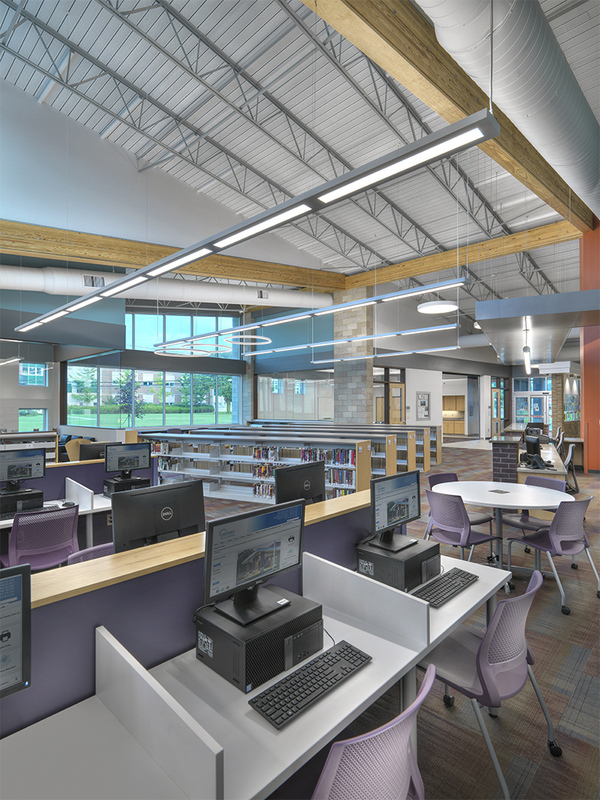 The project included the demolition of the existing 4,700 square foot library and adjacent house in preparation for the new building and expanded site amenities. 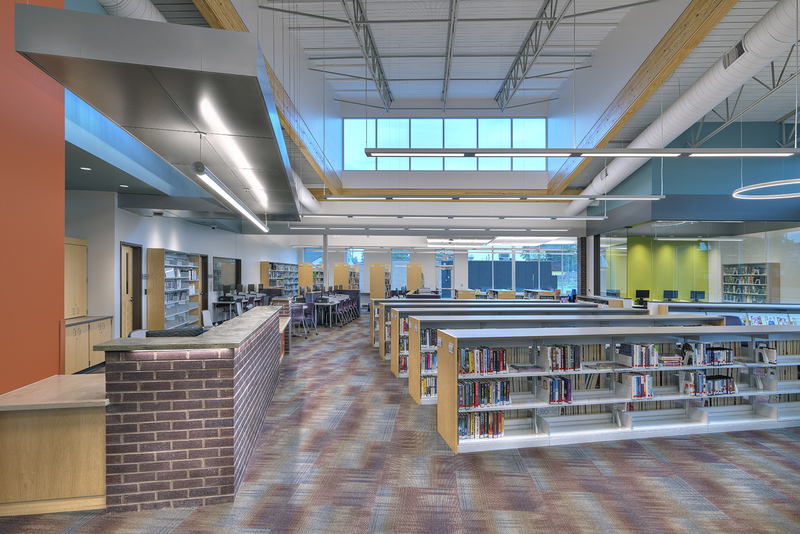 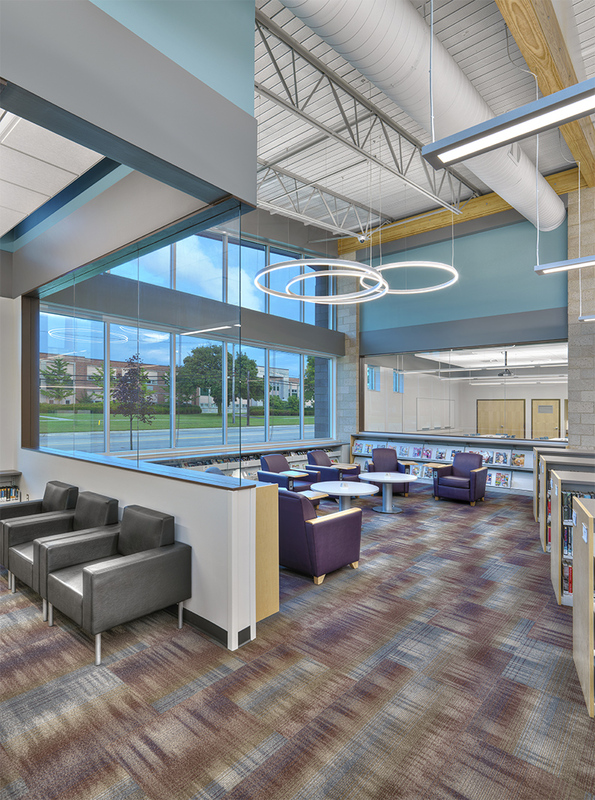 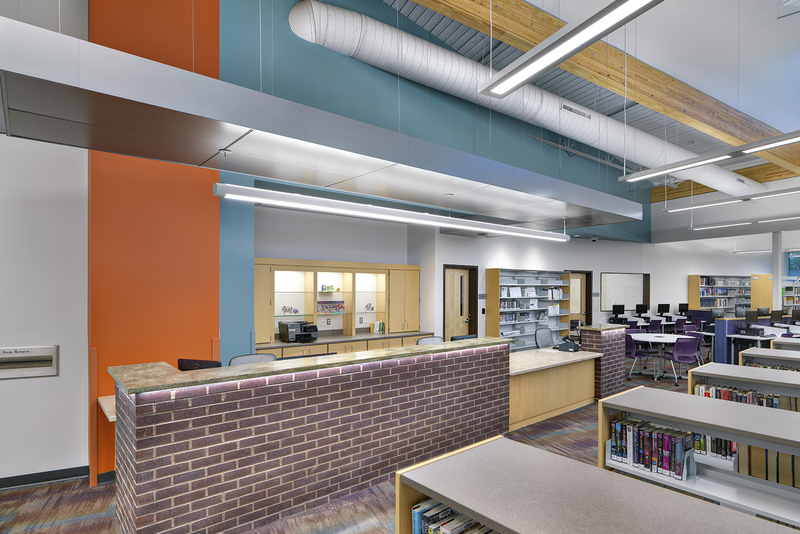 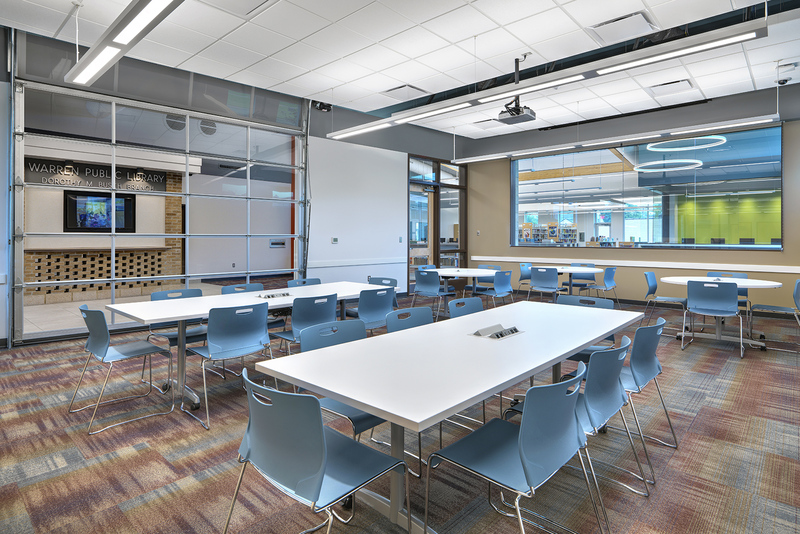 The new library was designed with flexibility in mind and integrated technology to accommodate a diverse range of programming and community use. 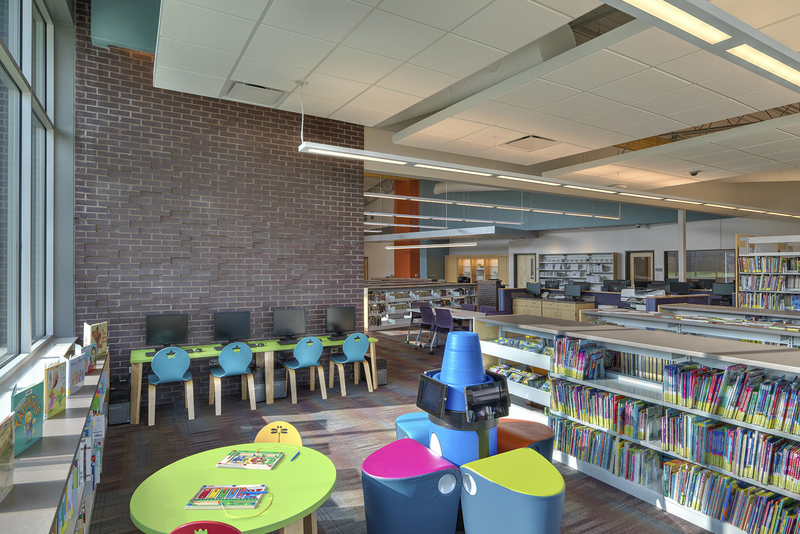 The warm, welcoming and inspirational environment provides dedicated space for children, teens and adults. 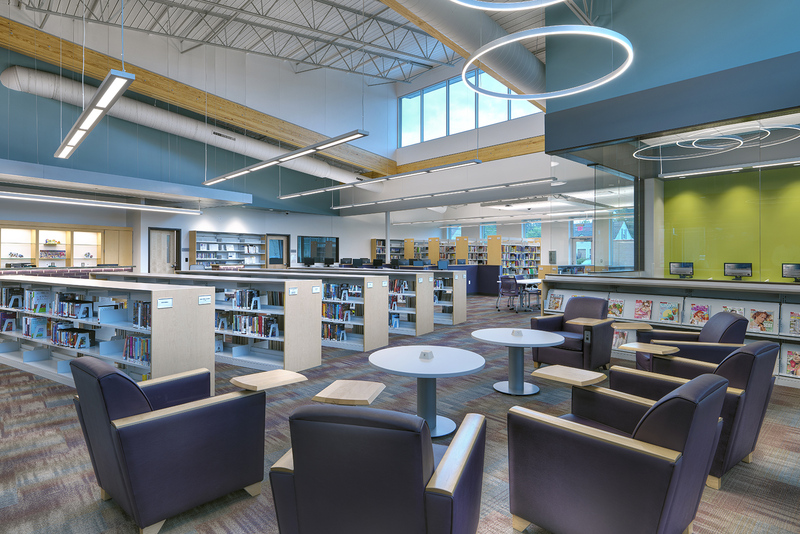 The library also boasts an abundance of technology accommodations including several computers, presentation equipment and Wi-Fi access. 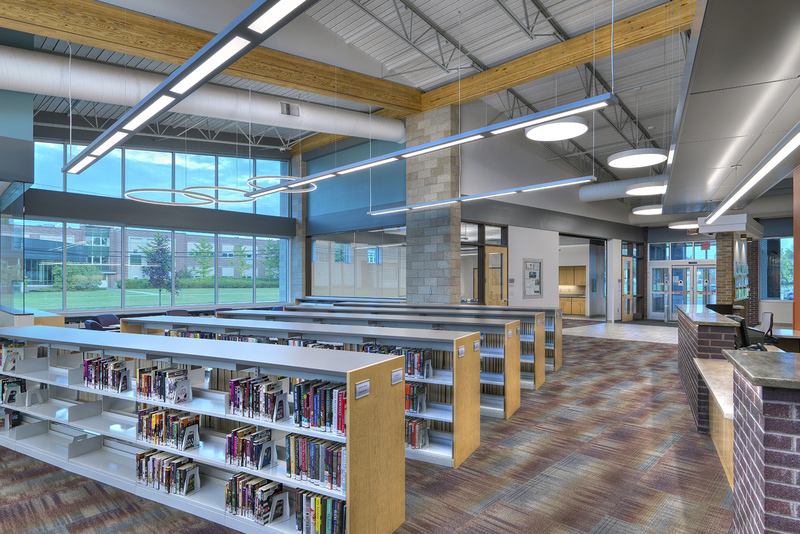 The site was greatly improved with new site circulation, increased parking, fresh landscaping and exterior reading areas. 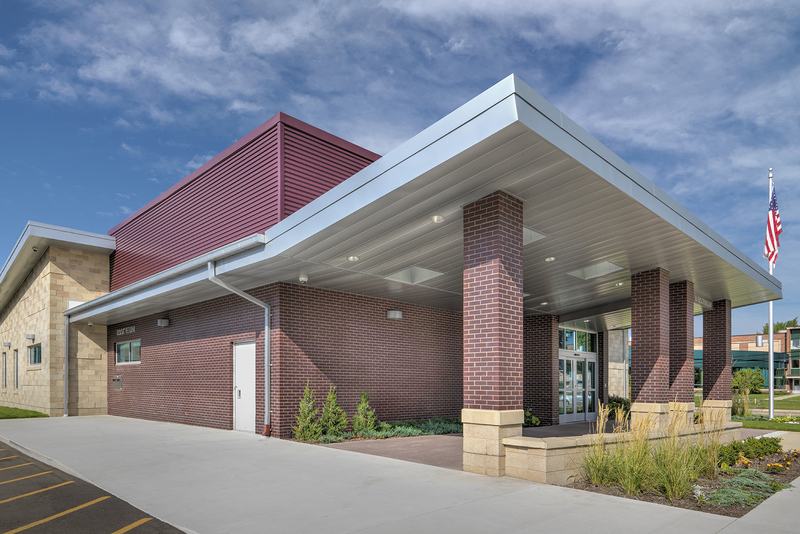 The project was completed in February 2017.